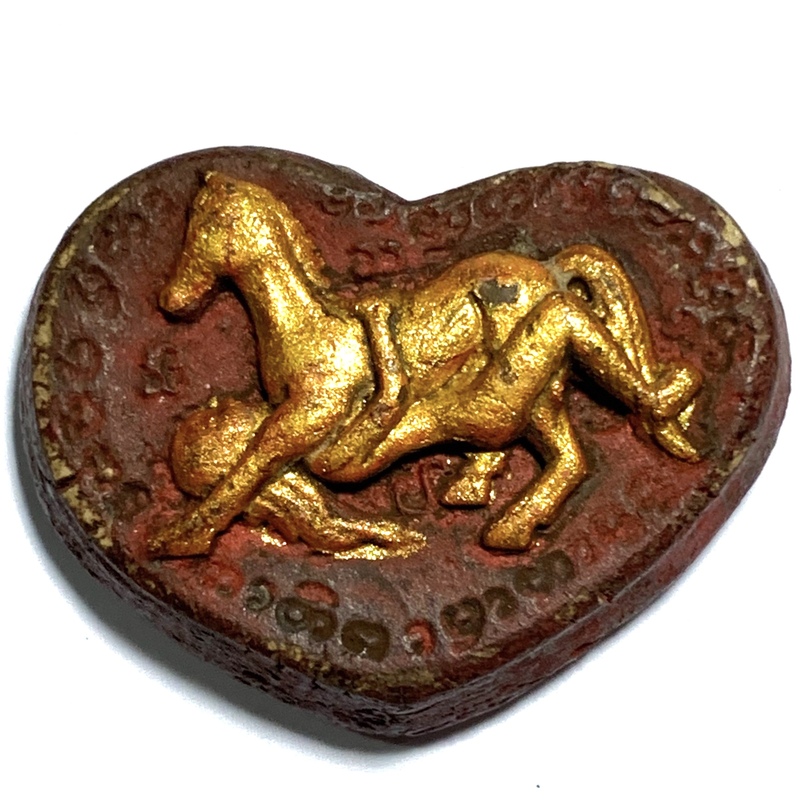 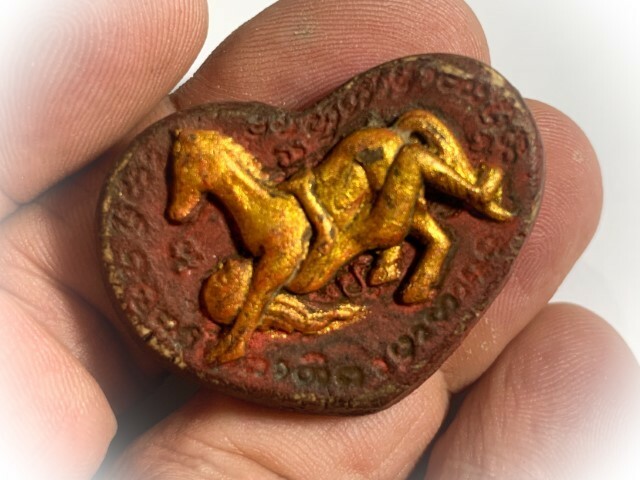 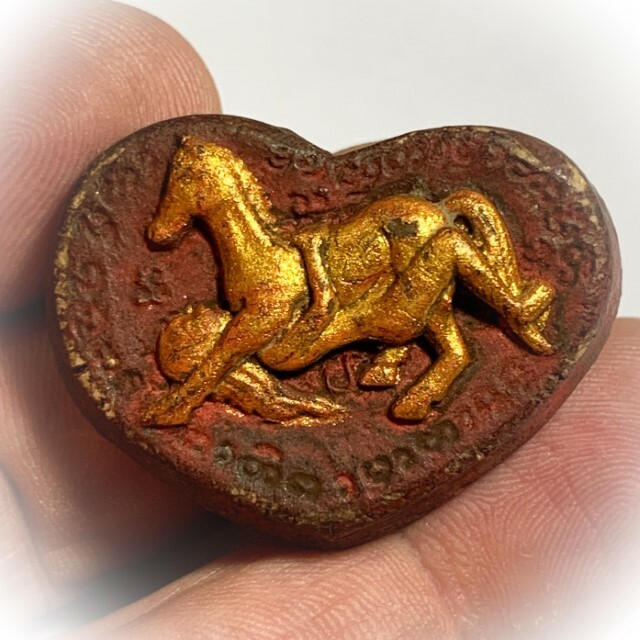 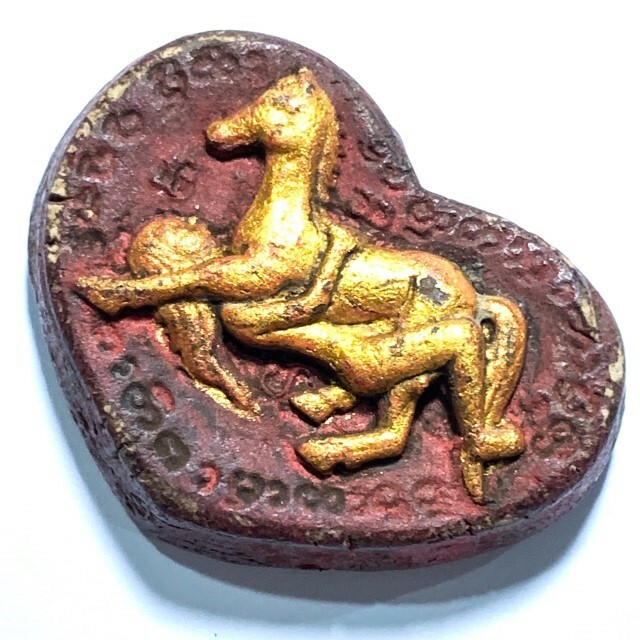 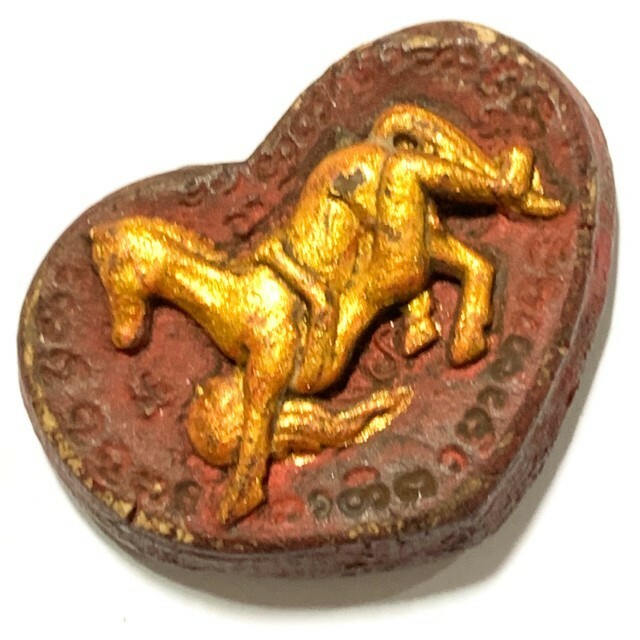 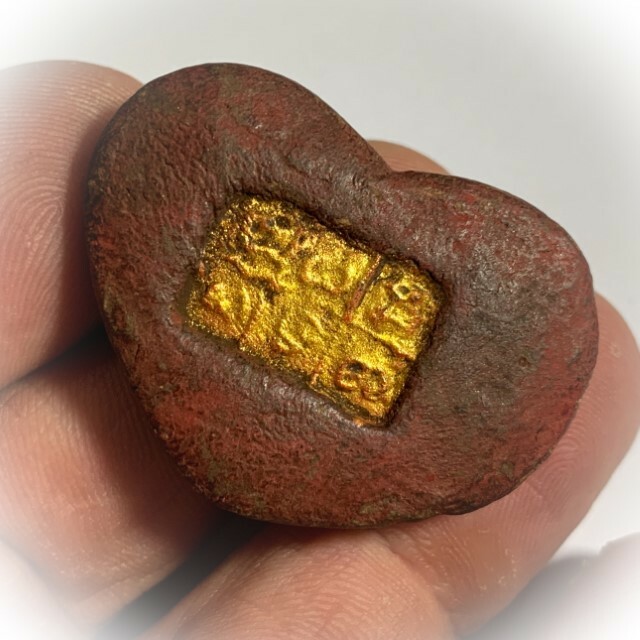 An Extremely Rare Early Era hand molded heart-shaped version of the In Ma Saep Nang Pim Hua Jai Yai Lady-Horse Prai Deity, in Nuea Daeng. 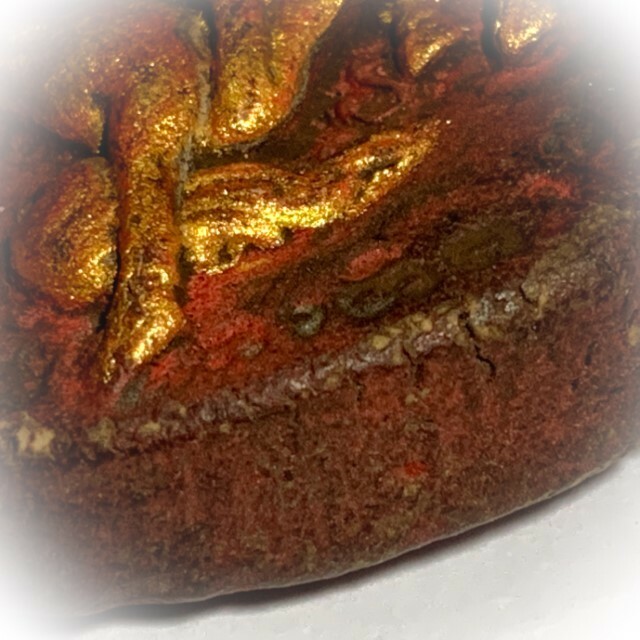 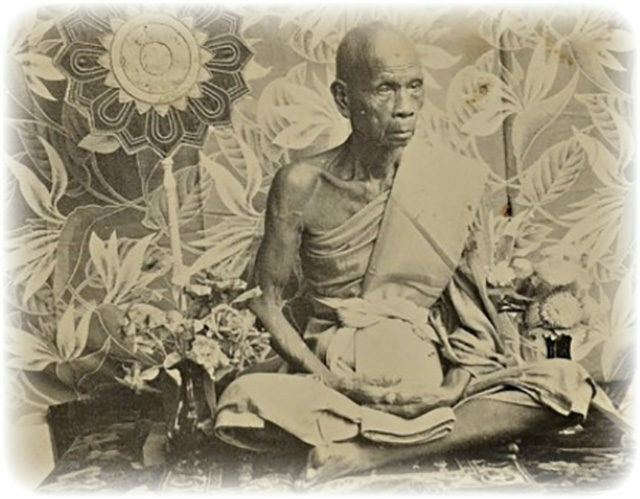 Empowered with the Ancient Northern Lanna Tradition Wicha, and Magical Incantations inscribed upon the surface. 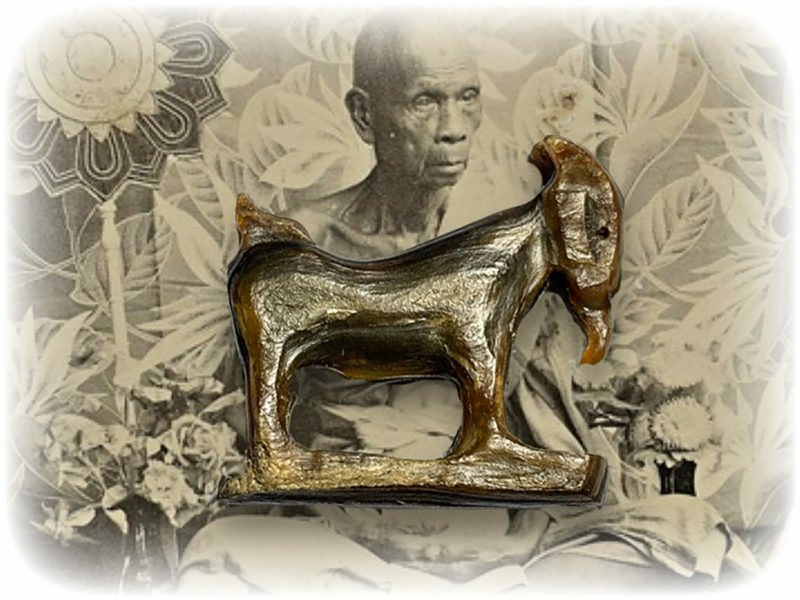 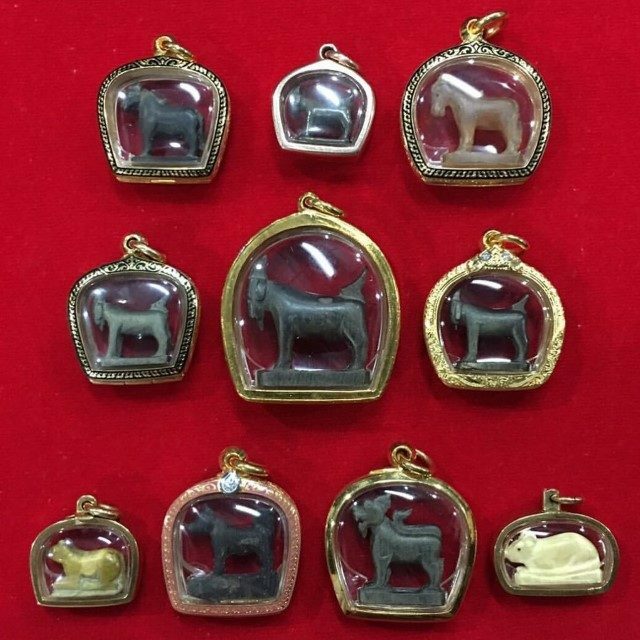 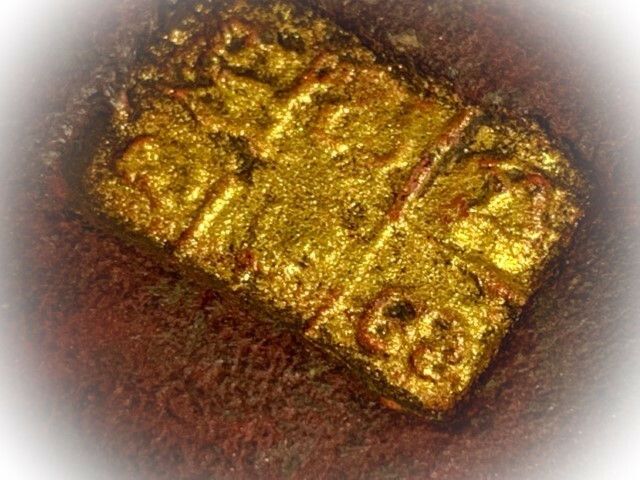 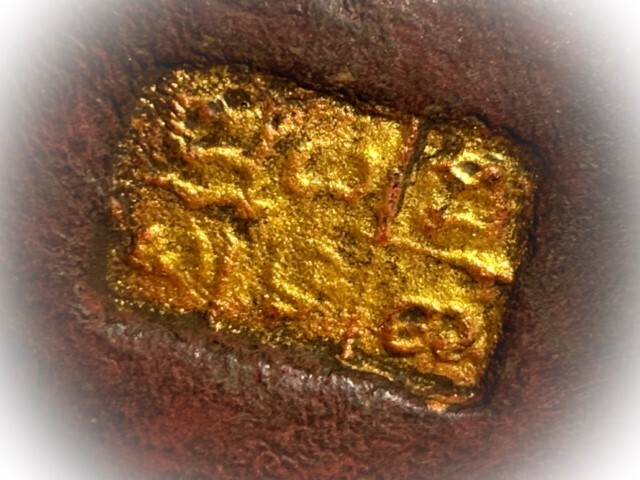 A truly rare and world-famous classic amulet, from Olden Days Master Kroo Ba Wang, of Wat Ban Den. 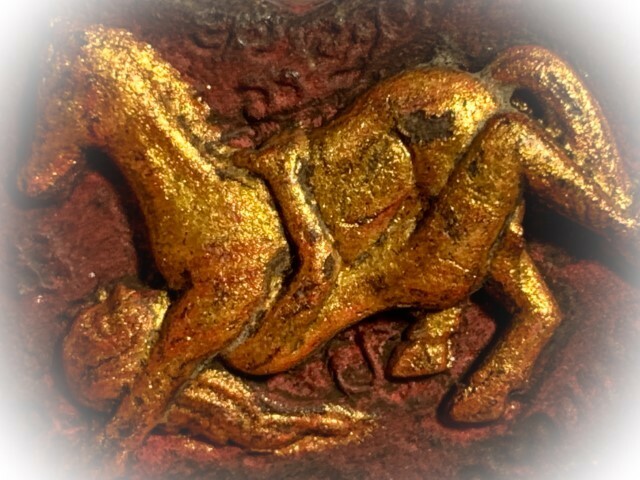 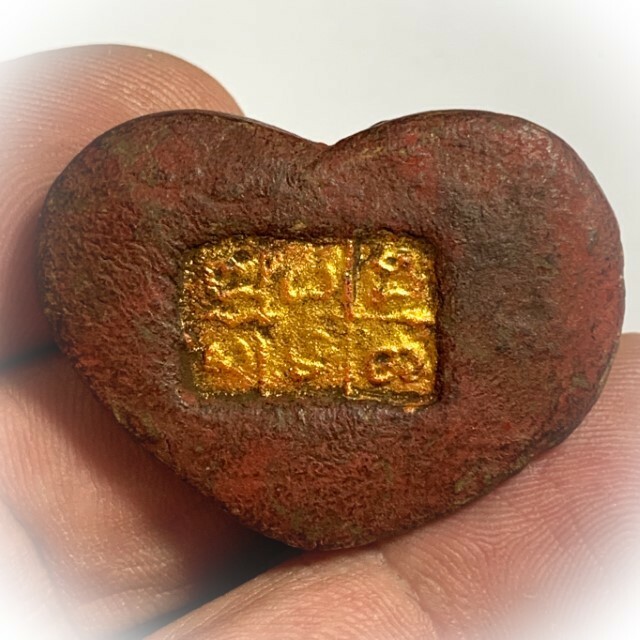 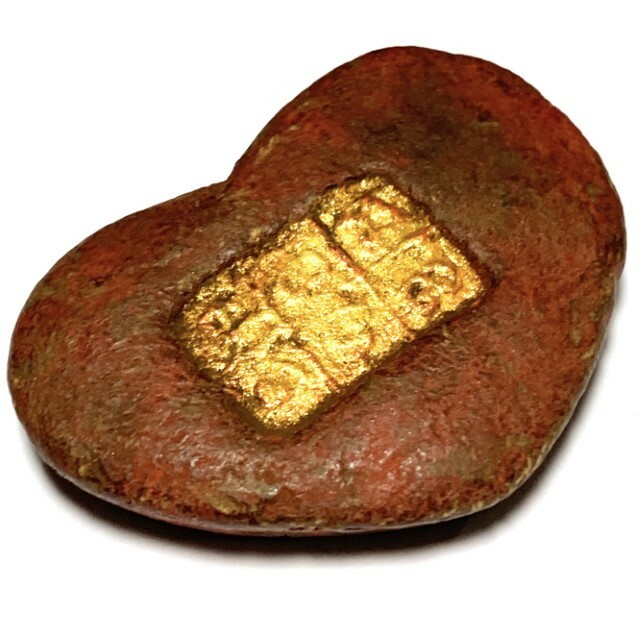 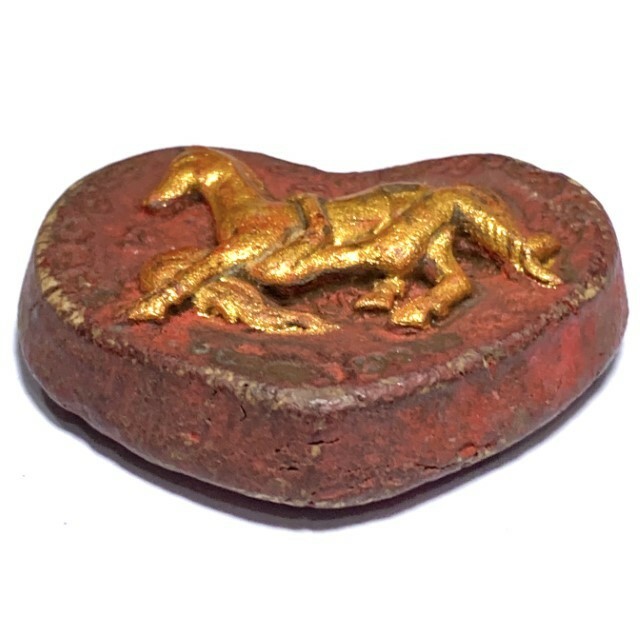 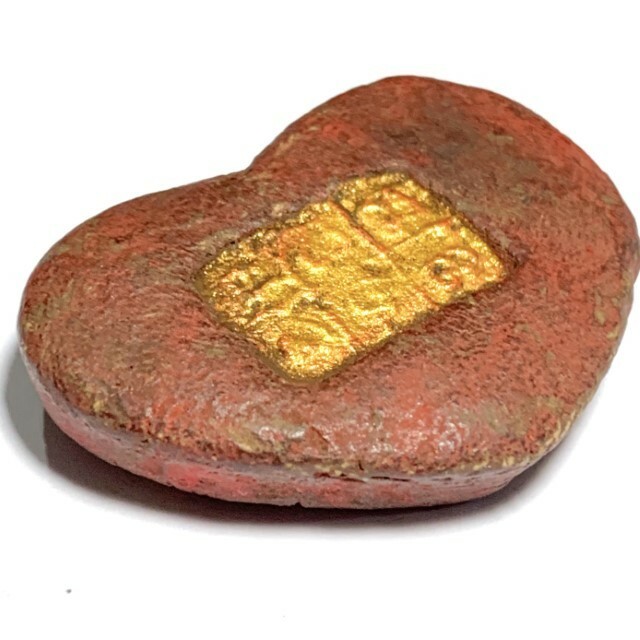 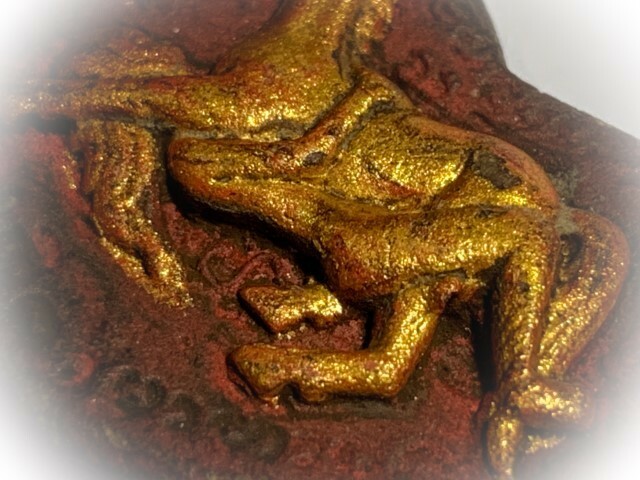 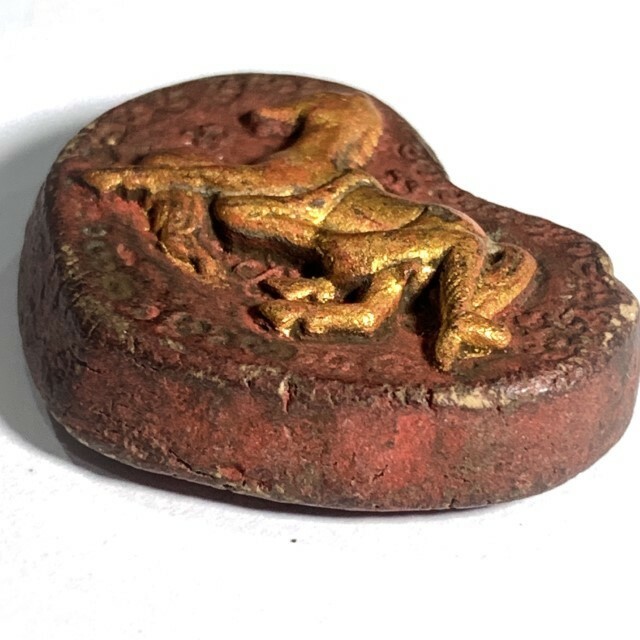 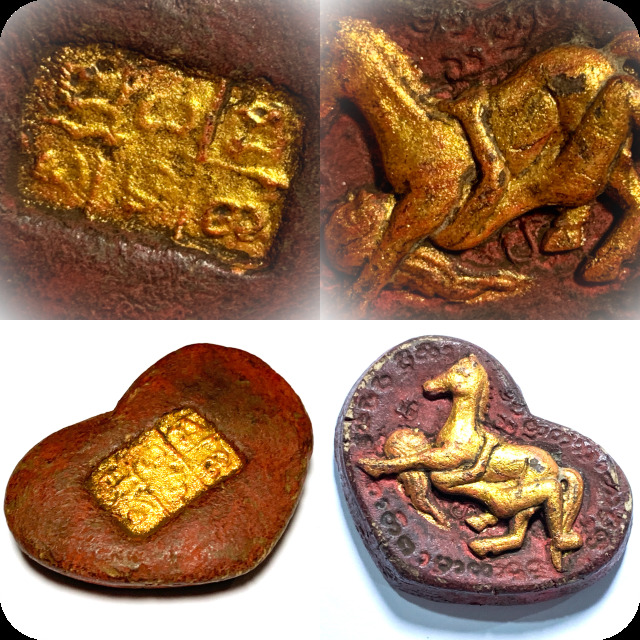 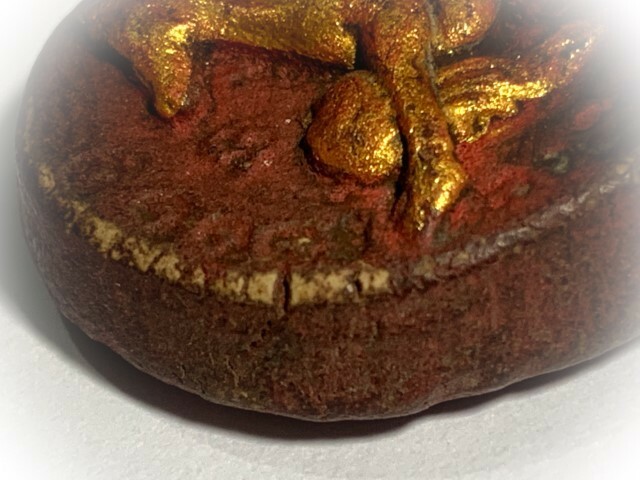 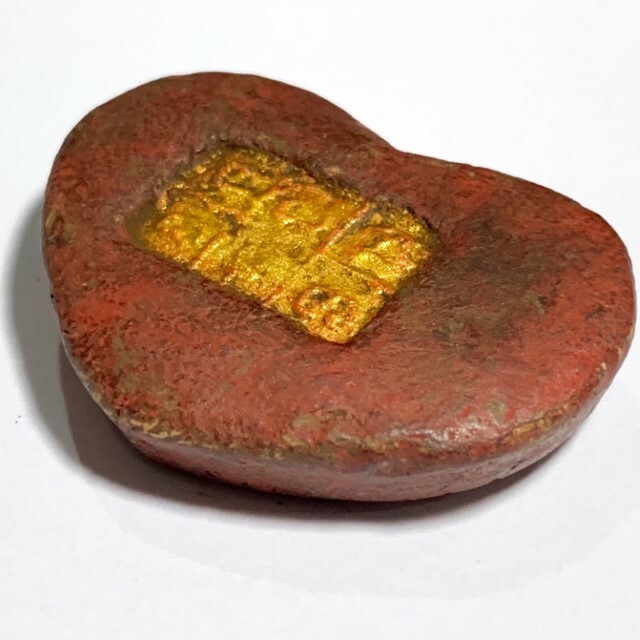 The Ma Saep Nang measures 4 x 3 Cm, and is made from Red Sacred Muan Sarn Sacred Powders, with a gold covered surface, and golden painted on the Mae Saep Nang on the front face. 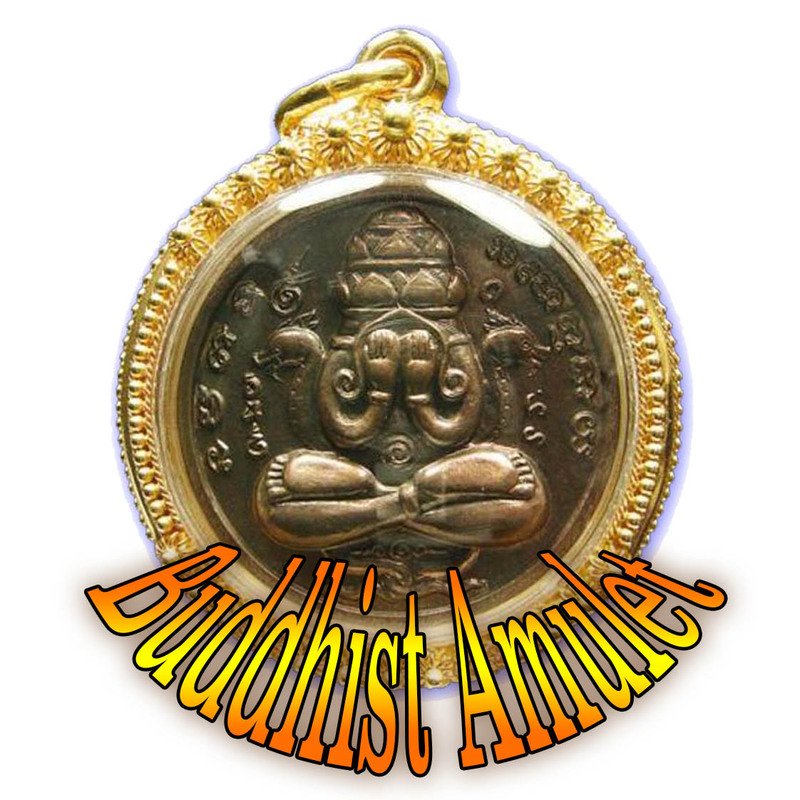 Empowered with the invocation of the Prai Ma Saep Nang Deva and is imbued with Lanna Maha Sanaeh magic for Seductive Influence, Metta Maha Niyom Mercy Charm and Maha Lap Wealth Increase (through attracting admirers, good customers, and, promotion from bosses, and helpful friends).